For almost as long as I can remember Leighton Baines has consistently been linked with a move to one of England’s Champions League representatives. The rumours were particularly strong last summer with Manchester United reported to have made several moves to sign the England international left back. The links to Manchester United have only strengthened following David Moyes’ appointment as manager, so it has been particularly pleasing to see both Roberto Martinez and Bill Kenwright suggest that not only is Baines not for sale, but Everton have also begun contract discussions to ensure Baines remains at Everton for the majority of his career. Named in the PFA team of the year for the second season in succession, Baines is now considered the best Left Back in the Premier League. His pedigree was further enhanced by the recently revealed Bloomberg top 50 players list for the 2012/13 season, where Baines was rated the 16th best player in Europe and the highest ranked Englishman in the list. Martinez continued: “For Leighton, as the top performer he has been in the last few years, it is important that we reward his work and make sure that he can look forward to kicking-on and go into the next chapter of his career with Everton. It is not just his influence in the dressing room which will prove crucial to Everton next season. 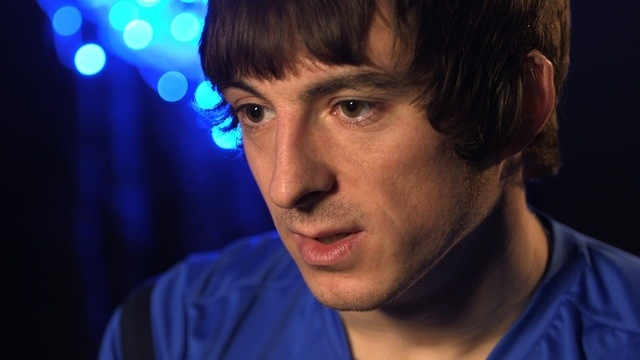 Baines is the Blues’ most creative player, with more assists and key passes than any other player in Europe last season. He also brings a great goal threat as well, particularly from dead ball situations, with 5 goals last season. However his influences goes much further than his goals and assists. Alongside Steven Pienaar he forms part of the best left sided partnership in the league. Many teams have visited Goodison with the primary objective of nullifying Baines, this has rarely proven successful, but when teams have been successful, it has often been at the expense of other defensive duties, allowing Coleman and Mirallas to prove effective on the right. All this proves the importance of the contract negotiations. Those who are close to the deal have indicated that Baines is delighted with the talks and he is keen to extend his stay at Goodison. His current contract runs until the summer of 2015 and the Blues will be forced to listen to offers next summer if the talks prove fruitless. The offer is likely to be the most attractive in the history of Everton and few could argue that he doesn’t deserve an offer of that magnitude. Everton will not however contemplate a release fee having learned from the mistakes in the Fellaini negotiations. Bill Kenwright and Martinez are likely to push on with the talks and will be hopeful of announcing a deal when Baines returns to training in the middle of July. Previous Post Neville to be Martinez’ number 2? Next Post Martinez in the transfer market – hit or miss?